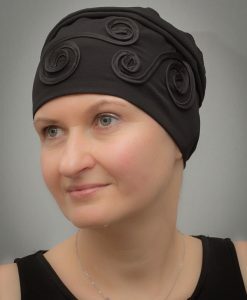 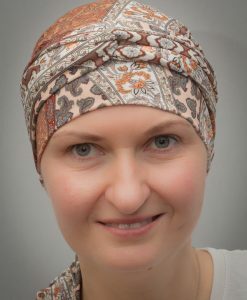 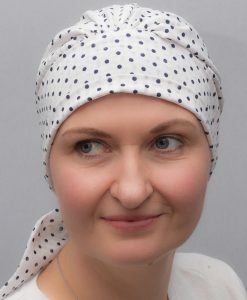 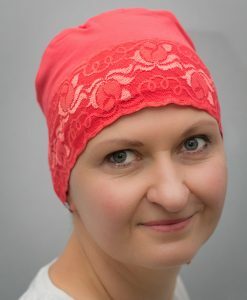 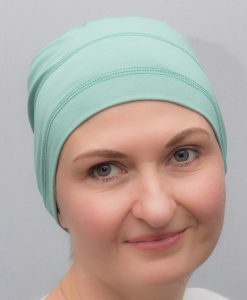 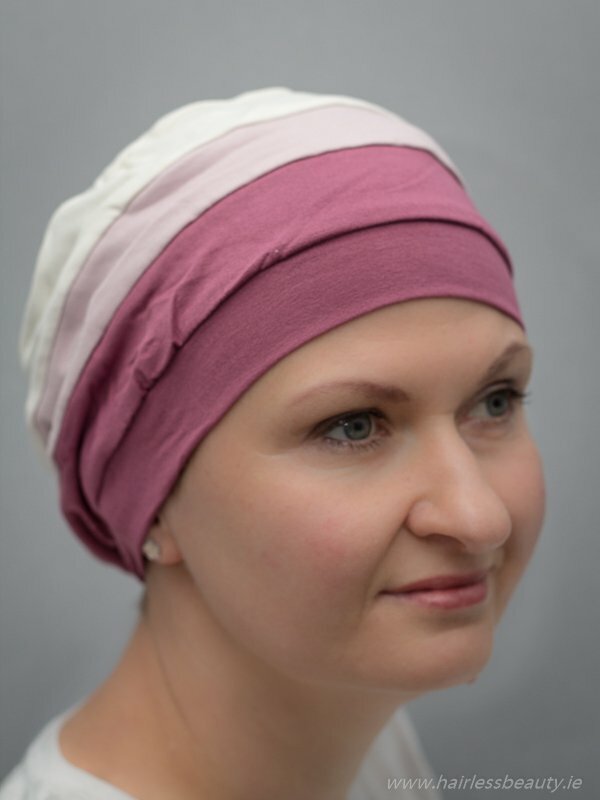 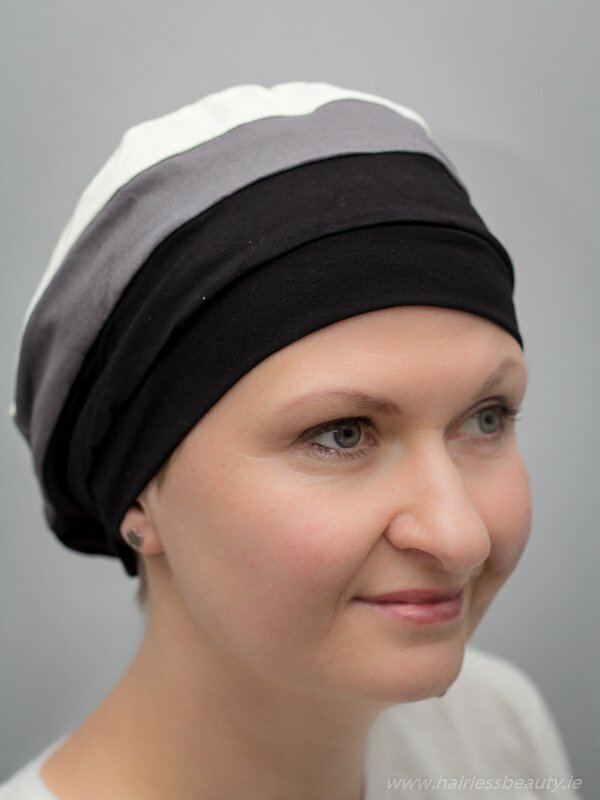 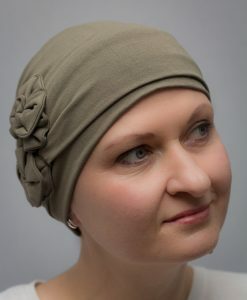 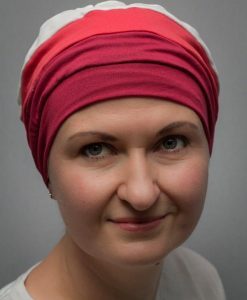 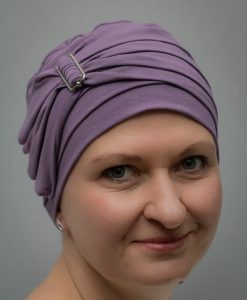 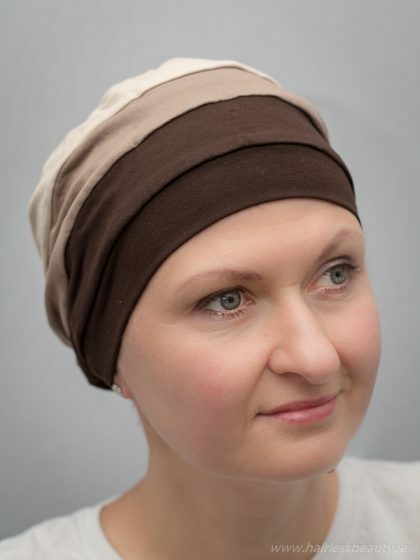 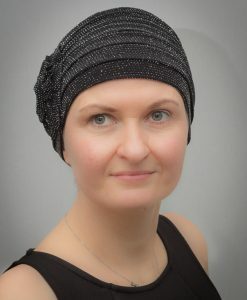 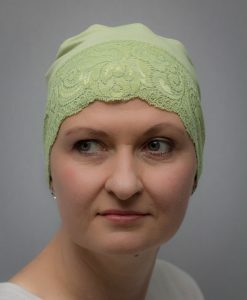 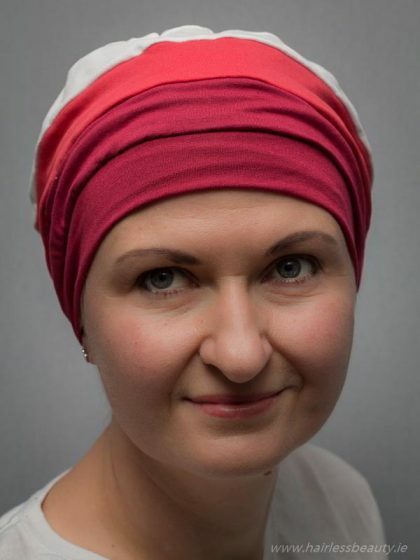 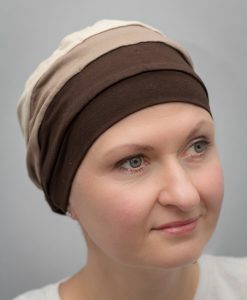 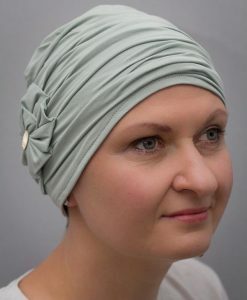 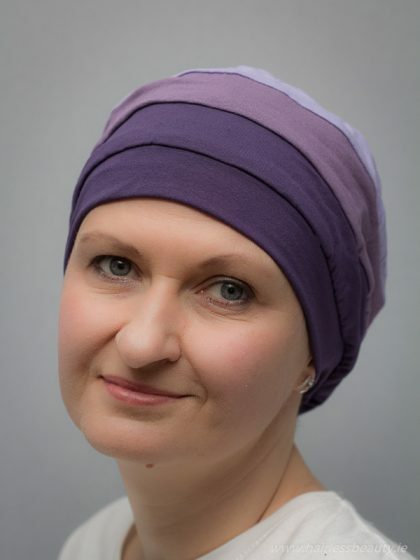 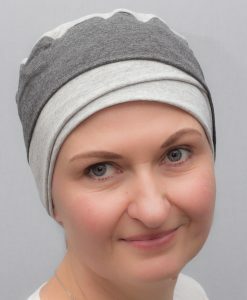 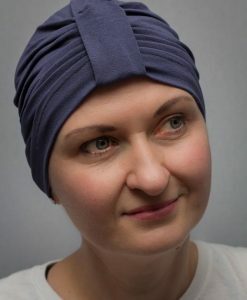 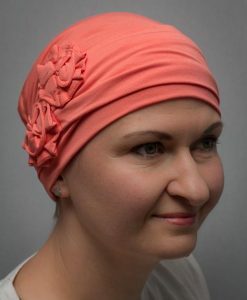 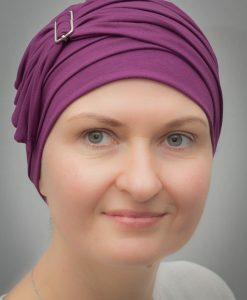 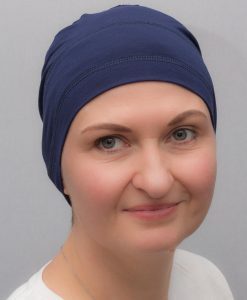 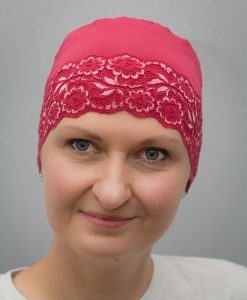 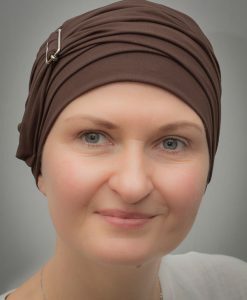 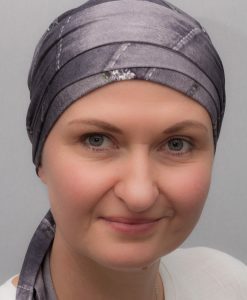 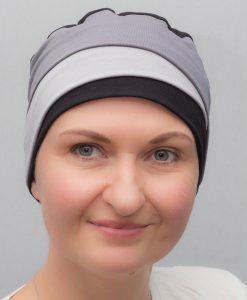 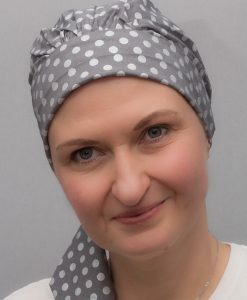 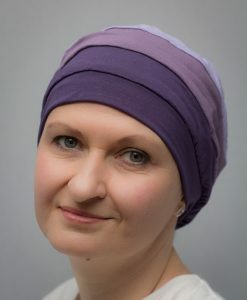 Multicoloured turban Snowdrop is another brilliant bald head cover for cancer patients or modern and nice head accessory. 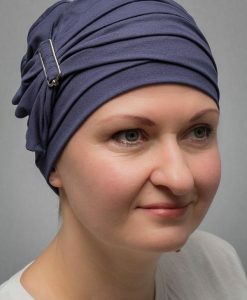 It gives perfect coverage just in second. 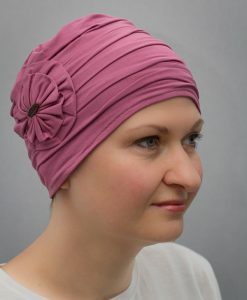 Very practical, matches to many different clothes colours. 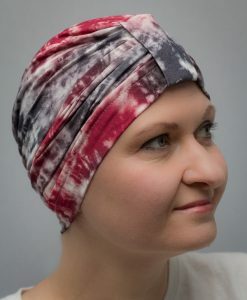 Perfect for any time of the year.